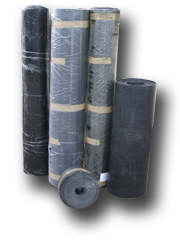 We supply flat back and insertion rubber on the roll or cut to size. For further information please contact Trevor on 01733 894949. This type of rubber has countless applications across industry including sound proofing, water proofing, damp proofing, vibration control, impact protection, and much more. Good tensile strength and wear resistance. Slightly cheaper than natural rubber, SBR offers good wear, abrasion and tensile qualities. Nitrile offers great oil & chemical resistance. EPDM offers excellent ozone resistance, the primary cause of rubber failure in outdoor applications and is used for all applications exposed to the elements.